Do you think that section 377 of I.P.C. is a Constitutional Injustice to LGBT community in our Nation ? And if so, whether Govt. 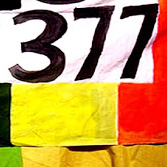 of India should step forward to decriminalize Sec 377 by an amendment ?